As part of our mission to empower youth to become engaged citizens, skilled professionals, and honorable leaders, the National Speech & Debate Association has a number of partnerships with professional organizations to provide additional opportunities for our student, coach, and alumni members. The American Legion offers student members an opportunity to supplement their experiences in speech and debate competition, particularly in Oratory and Extemporaneous Speaking. The contest starts at each local post, then moves onto regional, district, and state levels. Participants compete for scholarships, including a grand prize of $18,000! Visit the American Legion website to get started. The National Speech & Debate Association partnered with The Bill of Rights Institute to coordinate a webinar series in which topic experts discuss and answer questions about Policy, Lincoln-Douglas, and Public Forum topics. Watch topic webinars by selecting the “webinars” tag in the Resources table. The Calvin Coolidge Presidential Foundation organizes and hosts debates around the country, focusing on issues of economic and public policy significance, and emphasizing the values of logic, clarity, and civility. The Coolidge Debate League consists of a series of regional single-day 2v2 tournaments throughout the school year. The Coolidge Cup is a large, all-expenses-paid, multi-day 1v1 invitational tournament held at the Coolidge Foundation’s historic location in Vermont each July in which top debaters from around the country compete for $10,000 in scholarship prizes. The Coolidge debate programs are format-neutral in that they are intended to appeal to debaters of all types. The Council on Foreign Relations (CFR) is an independent, nonpartisan membership organization, think tank, and publisher that provides in-depth analysis and background on the foreign policy choices and opportunities facing the United States and the world today. Debate coaches and students can research current topical and regional issues at Foreign Affairs magazine. Edco provides an online fundraising software platform for K-12 schools that empowers teachers and students to raise money from family, friends, and other members of their community. Edco’s mission is to help K-12 schools effectively raise money and seamlessly connect with resources. To learn more, please visit Edco’s website. You can also download our fundraising guide for more helpful tips! HeinOnline is an outstanding research product normally only available to law students and legal professionals. HeinOnline has more than 156 million pages of legal history available in a fully searchable database. In addition to the vast collection of law journals, HeinOnline also contains Congressional Record Bound volumes, complete coverage of the U.S. Reports back to 1754, famous world trials dating back to the 1700s, legal classics from the 16th to the 20th centuries, the United Nations and League of Nations Treaty Series, all United States Treaties, the Federal Register from inception in 1936, the CFR from inception in 1938, and much more. Learn more and access HeinOnline! Say It Media, Inc. was created to improve communications skills through practice with mobile apps. Say It Media, Inc. develops engaging and effective solutions that help users train against verbal habits, to motivate, track, and measure their speech fitness. The company’s first app, LikeSo: Your Personal Speech Coach, combines the power and ease of mobile apps with the discipline and guidance of a personal speech coach to put you on the road to better speech. At launch, LikeSo reached #4 overall in the App Store for paid apps, and #1 in the Lifestyle category. Learn more at SayItLikeSo.com, and on Facebook, Twitter, and Instagram @LikeSoApp. 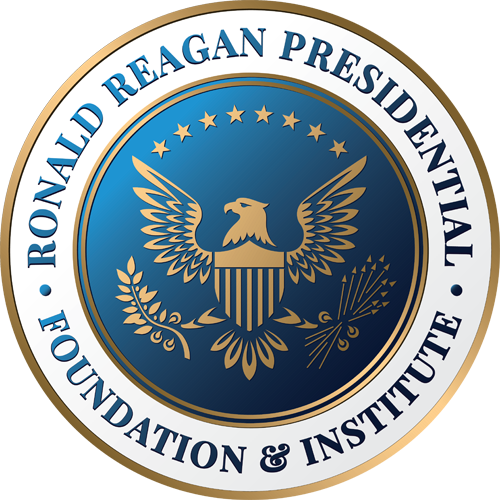 The Great Communicator Debate Series holds regional debate competitions across the country culminating in a National Finale at the Ronald Reagan Presidential Library in Simi Valley, California. Winners from each region compete for a share of $40,000 in scholarship money at the national finals! Many state associations/leagues sponsor local tournaments throughout the year in addition to their own state tournament series, which enable students to earn rewards for their practice and dedication to one or more of our competitive events. Missing an organization? Let us know!